The BBSRCs Global Food Security (GFS) programme invites expressions of interest from post-doctoral researchers to take part in a Policy Lab on the determinants of food choice (e.g. biological, social, environmental, physical and economic) and the combination of interventions across these that will lead to healthier and more sustainable diets. Policy Labs bring together early career researchers from different disciplines to scope a policy-relevant issue, with teams forming at the workshop and then competing to write a synthesis report. The winning team at the workshop will receive a £5,000 Policy Lab award to write a policy-facing report. To bring together the wider UK SI community with researchers involved in SIP to facilitate networking and the identification of opportunities for collaboration, building on the legacy of SIP. To stimulate the development of high quality research proposals related to SI that address relevant research challenges and explore new ways of approaching SI. To raise awareness of relevant Government and Research Council interests and potential funding opportunities. There is no cost to attend the workshop, overnight accommodation (on 28 February 2018) and meals will be provided free of charge. Attendees will be expected to cover their own travel costs. The SIP is a Defra and Welsh Government funded initiative that was established to identify ways of increasing farm productivity, while reducing negative environmental impacts and enhancing ecosystem services. SIP is a multi-partner research programme including farmers, industry experts, academia, environmental organisations and policymakers. The Platform consists of three linked and transdisciplinary research projects designed to explore opportunities and risks for sustainable intensification at the farm and landscape scale. The SIP will end in November 2017 and through this workshop BBSRC, Defra, NERC and SIRN hope to help the SIP community and others to build on its legacy. That legacy is a broad one, which includes data, tools, resources, experimental sites and capabilities, and a large and well-connected community of practice. This workshop is for research leaders currently working on or with interests relevant to SI. Please fill in the from below and return to sustainable.agriculture@bbsrc.ac.uk by 5 January 2018, 4pm. If you have any questions, please use the above email address. Successful applicants will be informed by email during the week beginning 15 January 2018. Expression of interest form for workshop participation (DOCX 147KB)You may need to download additional plug-ins to open this file. Expression of interest form for workshop participation (ODT 130KB)You may need to download additional plug-ins to open this file. The Biotechnology and Biological Sciences Research Council (BBSRC) have announced the Industrial Partnership Awards (IPAs), a scheme that encourages significant involvement with industry partners. The scheme allows companies registered in the UK, or who have a UK R&D/manufacturing site to work equally on research with academic partners. 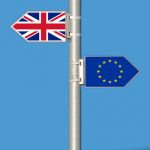 Companies from outside the UK may be worked with on a case by case basis. Companies are expected to contribute at least 10% of the overall budget as cash. Funding is only available for organisations eligible for BBSRC support; IPA projects are normally funded in preference to standard grants of equivalent scientific merit. The deadline for the scheme is 17 January 2018, at 16:00. For further advice, please contact Ehren Milner (emilner@bournemouth.ac.uk). 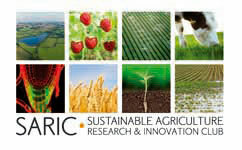 The Biotechnology & Biological Sciences Research Council (BBSRC) and NERC invite you to participate in a two-day interactive strategic workshop (sandpit) with the ultimate aim of funding up to six multidisciplinary research translation projects within the remit of the Sustainable Agriculture Research Club (SARIC). Applicants must register their interest to participate and will receive a formal invitation confirming attendance. This is a SARIC event and therefore all proposal ideas developed during the sandpit must fall within the remit of SARIC and its two key challenges. Specific business issues in need of addressing will be posed by SARIC industry members ahead of the sandpit. Participants will be expected to present a project idea as part of a multidisciplinary team to an expert panel on the final day of the sandpit. Sandpit participants will have the opportunity to submit a full research translation proposal through Je-S in early May 2016. For those invited to attend, reasonable costs for travel and accommodation will be met. Please complete the online registration form to attend the meeting. Registration for this event will close on 26 February 2016. 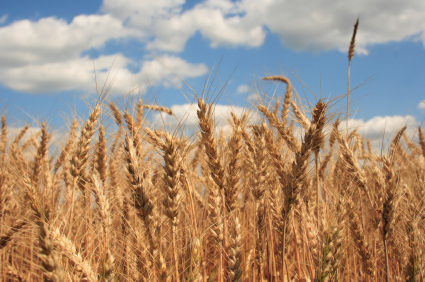 The BBSRC supported Global Food Security (GFS) Programme is inviting expressions of interest from post-doctoral researchers to take part in a Policy Lab on sustainable nutrition. If you are interested in taking an interdisciplinary and systems approach to a policy-relevant issue, and would relish the opportunity to produce an evidence-based report that will be widely read by policy, industry and the public, then this is for you. The Policy Lab is an interactive workshop that will focus on novel interdisciplinary ideas in the area of sustainable nutrition. The successful idea will be developed into a report for the GFS Programme. Researchers working in any relevant discipline from across the food value chain are welcome to apply (including natural, biological, engineering and social sciences). This could be from areas as diverse as agriculture, the agri-ecosystem, sustainable food production, food choice and nutrition. The successful team will receive the £5,000 GFS Policy Lab Award and have their report published through GFS channels, reaching a large number of stakeholders. Key benefits for post-doctoral researchers include working in an interdisciplinary team and expanding their academic horizons, experience of a competitive funding process, a high impact publication, and new contacts with researchers in other disciplines working on similar challenges. 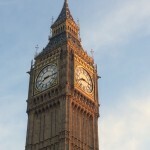 The Policy Lab will take place in London on 20-22 January 2016. In order to be eligible, post-doctoral researchers must be on a Research Council funded grant or fellowship, where the contract extends beyond 29 July 2016. In addition, participants must have a maximum of seven years of post-doctoral or academic experience after completing their PhD. Through Mid-Career Fellowships, the British Academy intends both to support outstanding individual researchers with excellent research proposals, and to promote public understanding and engagement with humanities and social sciences. The aim of the scheme is to allow successful applicants to obtain time freed from normal teaching and administrative commitments. The time bought by the scheme should be devoted to the completion of a major piece of research, and the Academy will also look for evidence of a clear commitment to a strategy of public engagement with and communication of the results of the research during the period of the Fellowship. The awards support outstanding individual researchers and outstanding communicators who will promote public engagement and understanding of the humanities and social sciences. Applicants should set out in their proposals specific plans for the dissemination of their research to a broad audience, in addition to publication in the usual academic press and journals. Awards will be judged both on the excellence of the research proposed and on the capacity of the applicant to communicate with a broad audience. Applicants are invited to indicate ways in which their proposed programme will contribute to advances in understanding, including public understanding, in their subject area and to the identification of appropriate strategic priorities in the social sciences and humanities. These Fellowships are covered under the Full Economic Costing (FEC) regime, but the Academy’s contribution to the salary of the Mid-Career Fellow will be capped at an upper limit of £80,000. It is not expected that the total value of an award will exceed £160,000 (BA contribution to FEC). Awards can be held over a minimum of 6 months and a maximum of 12 months, beginning in the autumn of 2016. The aim of the British Academy in making these awards is to offer opportunities for outstanding early career researchers to strengthen their experience of research and teaching in a university environment which will develop their curriculum vitae and improve their prospects of obtaining permanent lecturing posts by the end of the Fellowship. The primary emphasis is on completion of a significant piece of publishable research, which will be assisted by full membership of an academic community of established scholars working in similar fields. 45 awards are expected to be offered and awards are for 3 years. Awards are offered on a Full Economic Costing basis. There is no fixed amount awarded for the Fellowships and the value of award will vary depending on the host institution. Awards cover the salary of the Postdoctoral Fellow to work full-time on the Fellowship, small-scale research expenses (up to a maximum of £6,000), costs towards the time of a mentor (equivalent to one hour per month for the 36 months of the Fellowship) and the host institution’s estates and indirect costs. Applicants must be supported by one self-nominated referee. The referee should normally be the external examiner or, if not available, someone else who is as external to the applicant as possible. Surplus funds resulting from the 44th International Congress of Americanists, held in Manchester in 1982, were entrusted to the British Academy. Grants are offered for travel expenses in connection with a research project relating to Latin American studies and may support British scholars or scholars from Latin America. Applications may only be submitted by scholars resident in the UK. The object of this fund, established by the family of Elie Kedourie, FBA, is to promote the study of Middle Eastern and Modern European History, and the History of Political Thought by recent postdoctoral scholars of any nationality. Awards are offered to support any aspect of research, including travel and publication. Funds are not available to support travel to or attendance at conferences, workshops, or seminars, either in the United Kingdom or elsewhere. The Fund was established in memory of Elisabeth Barker (1910-1986), diplomatic correspondent and historian of modern Europe. This fund is intended to support studies in recent European history, particularly the history of Central and Eastern Europe. Grants may be made for individual, or collaborative projects and may support British scholars, or scholars from other European countries. The British Academy invites applications for the Thank-Offering to Britain Fellowship. This Fellowship enables an established scholar to have time away from their normal teaching and administrative responsibilities for one year to concentrate on a major piece of research that is related to “human studies, widely interpreted”. This call is repeated every 2 years. The Academy continues to offer the Senior Research Fellowship scheme, with funding generously provided by the Leverhulme Trust (on a non-FEC basis). This enables mid-career scholars to have one year’s research leave with funding being provided to cover the costs of replacement teaching. There is an annual closing date in the autumn. Eligibility: The Academy takes no account of an applicant’s age or current status (e.g. Professor, Lecturer) in determining eligibility for these awards. Rather, in all cases, award-holders are expected to be able to disseminate the results of their research not only through publications, but also through feeding into their future academic career after the end of the awards. Any field of study in the humanities and social sciences is suitable for support. We have grants for early-career researchers to participate in a workshop in the Philippines entitled ‘Process Systems Engineering Approaches for the Provision of Supplies and Utilities for Sustainable Cities’. The workshop is part of Researcher Links, funded under the Newton Fund, and is being organised by the University of Nottingham (UK) and De La Salle University (Philippines). The grants will cover all transport, accommodation and meals. Participants are encouraged to purchase adequate travel insurance (not covered by grant). Please refer to the Funder’s website for full details and eligibility criteria. The National Centre for the Replacement, Refinement and Reduction of Animals in Research (NC3Rs) is an independent scientific organisation that supports the UK science base through the application of the 3Rs. CRACK IT Challenges is a challenge-led funding competition from the NC3Rs which is designed to fund collaborations between industry, academics and SMEs; minimise the use of animals in research; support the development of marketable products and/or improved business processes. This year the Challenges are funded by the NC3Rs and Dstl with in-kind contributions from the Challenge Sponsors (for example, data, access to compounds and equipment). This year the NC3Rs intends to launch two Challenges: the first one is called ‘METABODERM’ where successful completion of this Challenge will deliver new capability to understand/interpret human relevant skin metabolism, including rates of metabolism in the skin and approaches towards metabolite identification. The second Challenfe is called ‘InMutaGene’ where successful completion of this Challenge will result in the development of a new platform to address the risks of insertional mutagenesis/oncogenesis and to improve the efficiency of translational research in gene therapy. Biotechnology YES, now in its 20th year, is an innovative competition developed to raise awareness of the commercialisation of ideas among early career researchers. The competition is funded by sponsorship and aims to encourage an entrepreneurial culture in the UK postgraduate and postdoctoral base for the benefit of the UK bioeconomy. The competition is organised jointly by The University of Nottingham – The Haydn Green Institute and Innovation and Skills Group, BBSRC. Over the course of a three day residential workshop, teams will develop a business plan for a company based on a hypothetical but plausible idea based on real markets. The workshop comprises presentations and mentoring sessions from leading figures in industry and culminates in the presentation of the business plans to a panel of ‘equity investors’ drawn from industry and academia. Up to three teams from each workshop are selected to progress to the final stage in London. In addition to the general Biotechnology YES workshops there are several themed workshops which are run in conjunction with industry: the Plants, Microbial and Environmental Workshop, hosted by Syngenta; the Biomedical Workshop, hosted by GSK and the Stevenage Biosciences Catalyst; and new for this year, the Food, Nutrition and Wellbeing workshop, hosted by Unilever. The Royal Society of Chemistry is also sponsoring a Chemistry YES workshop for the third year. The benefits of taking part include a prize fund of £5,000, including a first prize of £2,500, a trip to the USA, and an invitation to the BIA Gala dinner. As well as enhancing their CVs, participants will develop and improve transferable skills such as communication, time-management, negotiation and team-building. There will be opportunities for networking with industry professionals, and increasing your commercial awareness and technology transfer knowledge. 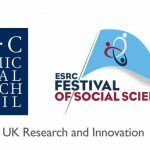 The ESRC wishes to improve the standards of research methods and to stimulate the uptake of high quality training courses in research methods across the UK social science community. Bursaries are available for up to £1,000 each to enable staff in the UK social science community engaged in research, teaching research methods or supervising research to update their research skills. Contract researchers working in HEIs are also eligible for the bursaries. The Balance Network invites proposals for activities within the themes of ‘work-life balance in the digital age’ which support the network’s aims of collaboration and impact. These events will form part of the network’s programme of activities between November 2015 and April 2016. A maximum of £35k will be awarded in total, and we anticipate the majority of successful proposals will be under £4k. We aim to fund at least one activity led by an early career researcher. All events funded through this invitation will feed into BEYOND BALANCE, a one-day large-scale Balance Network event taking place Monday 27 June 2016 at IET London, Savoy Place. Details will be circulated via the bulletin and made available on the funder’s website. This is an advance notice that EPSRC will be issuing a call in early September 2015, inviting recently funded EPSRC fellows who have a permanent post to apply for funding to progress the outputs of their fellowship towards impact within a healthcare application. Proposal should align to one of the four Healthcare Technologies Grand Challenges. The fellowship can be a maximum of 24 months in duration. A budget of around £2.5 million will be available to support the call. EPSRC expects to fund 4 – 6 Healthcare Technology Impact Fellowships depending on demand and available budget. This call is open to all EPSRC fellows holding a permanent post, whose fellowship end dates are in the period 01 July 2014 – 30 September 2016. Prospective applicants are encouraged to discuss their proposal with the call contacts (see below) at the earliest opportunity. Please refer to the Funder’s website for full details. Please note the above dates are indicative only and are subject to change. This is an advance notice that EPSRC’s Healthcare Technologies theme will shortly be issuing a call for ‘Healthcare Technologies Programme Grants’. The full call document will be available by early September. The Healthcare Technologies Theme has recently announced a new long term strategy, and in order to deliver on this, the EPSRC invites applications for Programme Grant proposals that seek to address significant major research challenges that align to the Healthcare Technologies Grand Challenges of: Developing Future Therapies – Supporting the development of novel therapies with technologies to enhance efficacy, minimise costs and reduce risk to patients (note: this specifically relates to drug, biological, cell and regenerative therapies); Frontiers of Physical Intervention – Restoring function, and optimising surgery and other physical interventions to achieve high precision with minimal invasiveness; Optimising Treatment – Optimising care through effective diagnosis, patient-specific prediction and evidence-based intervention; Transforming Community Health and Care – Using real-time information to support self-management of health and wellbeing, and to facilitate timely interventions. Programme Grants are a flexible mechanism to provide funding to world-leading research groups to address significant major research challenges and are intended to support a variety of activities focussing on one strategic research theme. It is expected that proposals will be interdisciplinary and collaborative. Please refer to the Funder’s website for further information on the Programme Grants scheme, including details of the peer review process and assessment criteria. Applicants must discuss their suitability for Programme Grant funding with one of the EPSRC contacts for this call before submitting an Outline application. Up to £15 million will be available to fund 3-5 Programme Grants through this call for proposals. The RCUK Energy Programme is bringing together engineers and physical scientists from across the energy sector to tackle the research challenges involved in integrating the energy supply, storage, transmission and demand sectors. The RCUK Energy Programme seeks to encourage cross energy-sector collaboration designed to enable future energy systems integration. This integration will help the UK meet its ambitious 2050 emission targets (the UK is legally committed to reducing greenhouse gas emissions in the UK by at least 80% by 2050, relative to 1990 levels) and address the energy trilemma by providing resilient, affordable and sustainable future energy systems. In this call we seek applications for research addressing the co-evolution of supply and demand across an integrated network over the next 35 years – in order help identify potential solutions and frame the challenges. Proposals should pull together existing and complimentary research from across the whole energy-sector to add meaningfully additionally and context. All proposals must cover research covering the entire energy sector from supply to demand, and can include storage, across the energy networks of electricity, heat and gas. Up to £5 million is available for this call with EPSRC looking to fund a research centre. The successful proposal must clearly identify how the research will complement and add to existing RCUK Energy Programme investments, in particular the UK Energy Research Centre (UKERC). Applicants are strongly encouraged to open a dialog with existing RCUK Energy Programme investments before submitting an application. Ensuring that fundamental science is translated into new therapies, diagnostics and medical devices is central to our mission. The Confidence in Concept scheme aims to accelerate the transition from discovery science to the early stages of therapeutic/biomarker development by providing locally-administered, responsive and flexible funding to support preliminary translational work. The award can be used flexibly by the institution to support a number of preliminary-stage translational projects. The projects supported should aim to provide sufficient preliminary data to establish the viability of an approach –– before seeking more substantive funding (e.g. from the Developmental Pathway Funding Scheme (DPFS). Applicants are encouraged to explore how awards could be used to develop academic-industry interactions. People exchange (in either direction) is permitted, where focused on the delivery of specific project objectives. Other routes (e.g. co-funding projects, developing early-stage collaborations) are also encouraged. Standard terms and conditions apply (see in particular the “MICA” webpage). Institutions may apply for an award between £250k and £1.2m. We anticipate that individual projects funded from an institution’s award will be of the order of £50-100k and approximately 6-12 months in length, although this will be dictated by the needs of each project. Institutional awards will be of 24 months duration. Successful institutions are expected to allocate funds to projects within the first 12 months of the award. This Fund is designed to provide flexible funding for innovative ways to enable the initial development of academic-industry collaborations. MRC’s Confidence in Concept (CiC) scheme provides responsive and flexible funding to support preliminary work aimed at assembling the data to support an application for a translational project grant. CiC permits academic-industry collaboration where focused on the delivery of the specific project objectives. The Proximity to Discovery: Industry Engagement Fund aligns with CiC to further enable research organisations to establish academic industry relationships. Short term people exchanges between industry and academia are seen as a key way of exchanging skills and knowledge and developing a longer term working relationship. Proximity to Discovery: Industry Engagement Fund can be used for people and knowledge exchange at the very earliest stage of a collaboration and may not necessarily be aligned to a specific project objective. Please refer to Funder’s website for further details and examples of potential uses. Institutions may apply to this scheme and CiC in the same round. The two applications do not need to be led by the same individual but the applying institution will need to present a persuasive case that the proposed governance structures will be coherent. Institutions applying to the scheme must be able to demonstrate that they have sufficient critical mass to be able to deliver engagement with industrial partners that will result in partnership opportunities. Applications are not expected to be in excess of £250k and are to be spent within 18 months of the award starting. Only one application per institution is permitted. It is expected that applications will be led by one or more senior members of the institution (e.g. Dean of Medical School or equivalent). A total budget of £15M is available to support CinC and Proximity to Discovery: Industry Engagement Fund. Antimicrobial Resistance (AMR) in the Real World is a programme under the AMR Cross-Council Initiative. This call is co-funded by NERC, the Biotechnology & Biological Sciences Research Council (BBSRC) and the Medical Research Council (MRC), and has potential co-funding from the Arts and Humanities Research Council (AHRC). This programme aims to address the need for a greater understanding of the role of the outdoor environment and host microbiome in influencing the evolution, acquisition and spread of antibacterial resistance, and as a reservoir for resistance. The programme is restricted to antibacterials and resistant bacteria or resistance genes, of relevance to bacteria of clinical and/or veterinary importance. Research supported can be based in agricultural, aquaculture, wastewater and natural environments, the human and animal host microbiome, and also includes elements of the way people and human communities interact with the environment. Research Grants should be up to £1.5m (100% FEC), with funding for up to four years’ duration, and projects starting no later than 1 May 2016 and complete by 31 March 2020. NERC and India’s Earth System Science Organisation (ESSO) – Ministry of Earth Sciences (MoES) jointly invite proposals for research on sustaining water resources for food, energy & ecosystem services in India. This collaboration is supported by the Newton-Bhabha Fund, established by the governments of the UK and India to provide a framework for increasing research and innovation collaborations that support sustainable economic growth, and builds on existing NERC-MoES activities. Proposals are sought for interdisciplinary collaborative research projects involving UK and Indian researchers. The focus should be on the main hydrological processes and how they interact within one of the 3 case study regions: the Himalayas, the Indo-Gangetic Plain, or Peninsular India. Up to £3m is available from NERC for this call with up to £1m (80% FEC) available for the UK contribution to each of the case studies, which will be matched by MoES in terms of research effort. Research Councils UK (RCUK) and National Commission for Scientific Research and Technology (CONICYT) are pleased to invite applications to the RCUK-CONICYT Research Partnerships Call. The objective is to deliver significant 2-3 year research funding for internationally competitive and innovative collaborative projects between researchers from Chile and the UK that will allow the pursuit of shared research interests. Proposals within the themes listed above are welcomed from across the remits of the UK Research Councils. Recognising the multidisciplinary nature of the thematic areas, the development of interdisciplinary collaborations is particularly welcome. Consortia should consider how their proposal makes the best use of available expertise in the UK and Chile, the added value of collaboration and how the proposal will meet the ODA requirements of this Newton Fund activity. Whilst still currently on the OECD DAC list, Chile may graduate from the list in the next few years and, as a result, and a condition of the Newton Fund, proposals must contribute towards the economic development and welfare of Chile and articulate a broader applicability to the issues of poor people globally. Funding for world-leading groups proposing novel and innovative ways of tackling important research and translational questions. The Wellcome Trust awards Centre status to programmes that we expect to catalyse and enable world-leading research and innovation in fields that are central to our mission. We expect our support to allow Centres to achieve exceptional impact in any or all of basic research; translation into clinical practice; health product research and development; and public policy. We currently fund eight Centres at UK universities and four Medical Engineering Centres. We are now offering other groups the opportunity to become Wellcome Trust Centres. We invite eligible institutions in the UK and Republic of Ireland to submit Letters of Interest proposing new Centres, for a competition to be decided in late 2016. We will also consider renewal applications from existing Centres. We encourage Centres to develop specific innovation and translation strategies and to support effective programmes of public engagement, and to identify the necessary resources. Our existing Centres work in four broad areas of biomedical science – neuroscience; cell and developmental biology; genetics/genomics; and infectious disease – and in medical engineering. For this new competition, we will consider proposals in any area relevant to the Trust’s mission, including the humanities and social sciences as well as basic biomedical research and translation. Centres will normally be funded for five years, with the possibility of competitive renewal (we expect to make the next set of awards in 2021). Please refer to the Funder’s website for further details of what costs the fund will support; what is expected of the host institution; key stages and dates of the application process. This is a one-off call for applications. The BBSRC have released their annual report for 2014-15. The report contains their highlights of the year as well as their strategy, priority and themes ‘the age of bioscience’ . You may also be interested to see Research Professional’s article on BBSRC’s increased success rates for women. The Newton Fund have announced the following international funding opportunities with their closing dates. If you wish to apply for any of these, please contact Emily Cieciura, Research Facilitator – EU & International as soon as possible. The Department of Health, including NIHR, invites tenders for its small business research initiative call on faecal and urinary incontinence in frail elderly people. The call aims to find innovative new products and services to help with faecal and urinary incontinence in frail elderly people. Tenderers should address prevention, diagnosis, treatment and management. Phase 1 shows the technical feasibility of the proposed concept, and Phase 2 contracts are intended to develop and evaluate prototypes or demonstration units from the more promising technologies in Phase 1. Only those projects that have completed Phase 1 successfully will be eligible for Phase 2. NHS England, under the Department of Health, invites tenders for minimising the impact of falling. 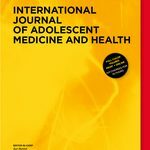 This competition focuses on minimising the impact of falls and the fear of falling in older people, and should address a range of unmet needs, expressed as ‘what if’ scenarios, that could improve the care that clinicians are able to offer to patients in terms of outcomes, experience and efficiency. Fall prevention services provide assessment, strength and balance training, occupational therapist support, vision assessments and medicines review. Tenders should show the technical feasibility of the proposed concept. Maximum award: up to £100,000 per project for a maximum of six months. NHS England, under the Department of Health, invites tenders to address functional needs in the elderly. This competition aims to find technologies to help address, as well as provide solutions for, functional difficulties associated with patients, particularly the increasingly frail elderly suffering multi-morbidities (defined as suffering two or more chronic conditions). Technologies should be aligned to the three key challenges which are commonly associated with functional difficulties; these are: detecting frailty and monitoring deterioration; activities of daily living (including dressing above and below the waist, grooming, bathing and showering, light housework and preparing meals); and treatment burden, including adhering to disease management plans and lifestyle changes, as well as drug concordance, adherence and compliance. Tenders should show the technical feasibility of the proposed concept. • Novel research tool and technology development supporting the above areas, including systems biology, bioinformatics, screening and characterisation of germplasm for gene and trait discovery. 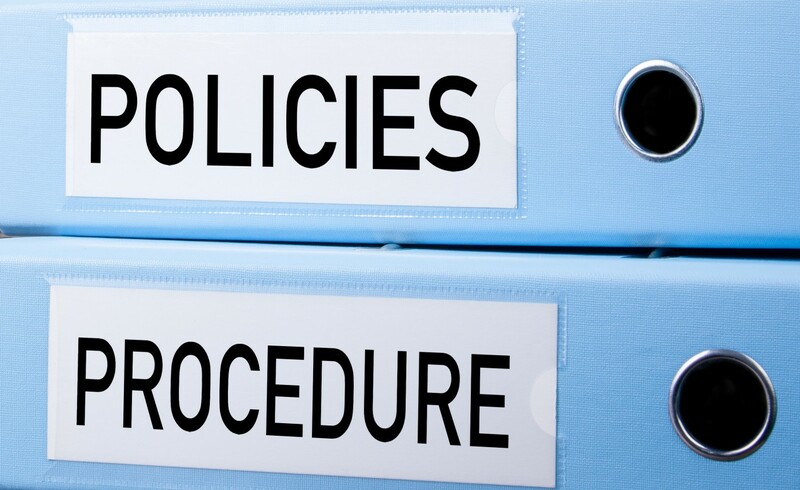 Each proposal must involve at least one applicant based in the UK and one based in either China, the Philippines, Thailand or Vietnam. All proposals are required to have a UK principal Investigator, in addition to a PI from one or more of the partner countries. All applicants must adhere to the national eligibility rules for research proposals. 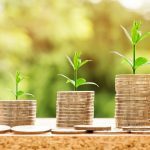 The total budget from BBSRC and NERC is worth up to £6.5 million, with matched funding from the partner agencies in China, the Philippines, Thailand and Vietnam. Projects may last up to a maximum of up to three years. The Natural and Environmental Research Council (NERC) and the São Paulo Research Foundation (FAPESP) are inviting research proposals under this ‘Understanding and Sustaining Brazilian Biome Resources’ call. This call is supported by the UK through the Newton Fund which forms part of the UK governments Official Development Assistance (ODA) commitment and is only open to joint UK-Brazil applications. • Critically assess the potential and trade-offs of ecosystem management and policy options to protect both key ecosystem functions and biodiversity and other ecosystem services. Projects must undertake research at the biome spatial level, and should seek to utilise new or novel technological capability and make use of existing long term data sets that are available from other projects. UK-based researchers associated with organisations eligible for NERC funding may apply. Brazilian researchers associated to public or non-profit higher education and research organisations in the state of São Paulo may apply. NERC will provide up to £2 million at 80 per cent full economic cost for UK-based researchers with FAPESP providing matched equivalent effort to Brazilian researchers. It is expected that two to three project proposals, lasting up to three years, will be funded. The Engineering and Physical Sciences Research Council and the Natural Environment Research Council has extended the closing date for technical assessments and applications for their ARCHER leadership projects. The previous deadline of 1 September has been extended to 7 September 2015. All other call details remain the same. • Pre-competitive computational production runs by non-academic research groups within sectors related to the remits of the ARCHER partner research councils. Applicants should be individuals eligible to hold a full EPSRC or NERC grant, or persons of similar standing in industry or the third sector. A total of 2m kAU is available, split between EPSRC and NERC remits at the ratio of 77 % EPSRC and 23 % NERC. Each applicant should apply for at least 100,000 kAU for a maximum period of two years. The Centre for Defence Enterprise and Defence Science and Technology Laboratory invite innovative proposals for their themed competition on ‘what’s inside that building’. This supports phase one research projects that aim to develop novel techniques which remotely provide information about the layout and situation inside a building, or underground facility from a range of at least 100 metres. Projects should develop and mature technology readiness level 2 to 3 concepts based on both direct sensing and inference from indirect measurements. In addition, they should address the following technology challenges: novel applications of traditional sensing methods; new technologies and approaches. • Supporting disaster relief, for instance seeing under collapsed buildings. Preference may be given to projects that produce a technology demonstration as opposed to projects that only deliver a written report. The total budget for phase one of this competition is worth £650,000. There is no cap on proposals, however MOD is more likely to fund phase one projects worth between £50,000 and £100,000. Successful projects may receive an additional £500,000 for phase two of the competition, in which funding is awarded on a per-project basis. Proposals should focus on a short, sharp, proof of concept phase, typically lasting between 3 to 8 months. Nesta, in collaboration with Innovate UK, invites proposals for the Longitude prize. This rewards the development of a transformative point-of care diagnostic test to revolutionise the delivery of global healthcare and conserve antibiotics for future generations. The test must be accurate, rapid, affordable, easy to use and available to anyone, anywhere in the world. It should be able to identify when antibiotics are needed and, if they are, which ones to use. Anyone and any organisation may enter. Teams must include a member who has a presence in the UK. The competition is only open to those who have developed a new diagnostic test. The winner is awarded £8 million. £2m is awarded to support promising entries along the way. The prize money must be used to develop and market the winning solution. • Games and cinema, supported by Odeon Cinema and Pinewood Studios. Businesses based in the UK and EU may apply. Five companies may receive up to £25,000 each. The total budget is £125,000. As the name suggests, the Follow-on Fund picks up where research programme and discovery science (responsive mode) grants leave off, and enables their commercial potential to be realised by further developing the research outputs. Examples of activities funded include technology licensing, launching technology-based products or services, selling know-how based consultancy services, and the commercialisation of NERC-funded datasets. Researchers who are receiving/have received NERC funding may apply. Proposals must build on the outputs of recent/previous NERC-funded research activity. Applicants are encouraged to seek input from potential commercial stakeholders and end-users before submitting an application. Projects do not have to be based on proprietary, patentable intellectual property, though all proposals must have demonstrable economic potential, and be likely to deliver some form of societal or environmental benefit. Each proposal may receive up to £100,000 at 80 per cent full economic cost. As my new role within RKEO will concentrate on supporting academics with EU and international applications, I was very pleased to attend the recent UKRO Annual Conference. Having provided dedicated support to Knowledge Transfer Partnerships for nearly three years, I have grown used to the friendliness and knowledge of my professional colleagues in the UK KTP world. I need not have worried as I found the EU funding community just as welcoming and knowledgeable. 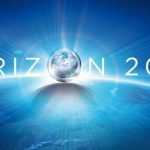 With Horizon 2020 ahead, most of the conference focused on initial findings, preparing for future bids and highlighting updated practice and opportunities since FP7. Christina Miller (Director, UKRO) opened the conference then Tim Willis (Head, International Relations, BBSRC) led a session reviewing the start of H2020 and where the UK should be going. David Wilson (BIS), outlined the role of the Technology Strategy Board and how H2020 links to the UK’s agenda for growth and innovation. Within H2020, innovation is ‘mainstreamed’ as are the social sciences and humanities. The difficulty SMEs have in engaging with EU funds was acknowledged but it was stressed that H2020 provides the framework for trust and tools to manage IP etc. We were left with a call to arms to help SMEs navigate this complex funding stream and to actively encourage such collaboration, with government support. Keith Sequeira (Member of Cabinet – Commissioner Geoghegan-Quinn) focused on how H2020 is integrated, simplified and challenge based, with the removal of disciplinary boundaries. The scheme also provides a stronger mechanism to ensure outcomes showing impact. Shearer West (Head of Humanities Division, University of Oxford) considered the implications of the mainstreaming of arts and humanities. Their role in supporting global challenges by providing context and perspective was shown as vital to the process of embedding innovation within policy development, ethics and economic growth. The example of the humanities in the H2020 Climate action Advisory Group, one of many EU expert groups, was explored. Following this session there followed a lively debate from the floor, where the importance of EU funding to the UK and the engagement by UK HEIs were both evident. The next session, presented by Dirk Beernaert (Adviser to the DG Connect), considered the routes available via H2020, in preparation for the digital revolution. Dirk gave an excellent overview of the funding topology and key themes – smart objects / platforms, human-centric and cyber security. The session ended with a question – will HEIs define or just participate? We were encouraged to be pro-active in influencing the funding roadmap. I then attended a useful breakout session on IPR given by Lea Montesse of the European IPR Help desk. This outlined the processes to be undertaken in managing IP within the life of an EU project, from inception through to eventual exploitation. The key message here was to make more use of this service. My second breakout session was presented by Mathias Reddmann (Policy and Project Officer DG Connect) considered the focus area of Smart Cities and Communities. Unlike many other streams, the UK is not in the top three funding recipients here. The session outlined the European Innovation Partnership, which is not a funding instrument but a mechanism for collaboration. The application is a ‘light touch’ Invitation to Commitment for HEIs and SMEs. The first day ended with a celebratory meal as this conference coincided with 30 years of UKRO. This was preceded by a reception hosted by the University of Bristol. The second day dawned with a consideration of the annotated Model Grant Agreement, which included detailed discussion of costing, budgets, third parties vs. subcontractors, staff costs, payments, reporting and audits. Given some detailed questioning by some HEIs, David Mejuto Gayoso (Legal Officer, DG RTD), made a strong defence regarding some controversial issues in the changes from FP7 to H2020. Alejandro Martin-Hobdey (Head of Unit, ERC) gave a fascinating and statistically-rich presentation of how the EU countries are responding to EU funding and the challenges and opportunities that this presents to the European Research Council. For BU, the Standard Grant appeared an attractive route into this funding. In terms of priories for ERA, these are gender, wider EU participation, international participation (with S. Korea and NSF mentioned), interdisciplinary proposals and clear impact evaluation. In questioning, Alejandro reported that 50% of grants are made to c. 50 institutions s with the UK dominated by the Russell Group members. During the Q and A, the potential of using companies and leverage and embedding the scheme within PDP for academics was aired. Alan Cross (Head of Unit, DG RTD) then gave a revelatory review of the H2020 evaluation processes. This including scoring, key points for assessment (challenge based, impact, close to market and cross disciplinary), the role of the assessors who use the principles of independence, impartiality, objectivity, accuracy and consistency, eligibility, operational capacity, panel review processes and ensuring quality in terms of the panel. The conference ended with Professor Jackie Hunt CBE (BBSRC) and David Golding (Head of EU and International Strategy, TSB) inspiring us all to go back and make better use of IP to promote business and academic research within innovation partnerships. The Innovative Medicines Initiative was used as a key example, along with BBSRC Research Industry Clubs, ELIXIR, ERA-NETS, EPI and KIC. The value of the TSB in supporting innovation was enthusiastically presented with the Enterprise Europe Network noted. 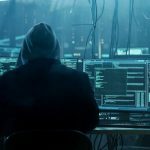 Using other agencies, such as LEPs, trade associations and professional bodies was encouraged, as was the TSB’s desire to build real relationships, not just being a funder for x months. By the end of the very full two days, my head was buzzing with potential opportunities for BU. Over the coming months, as Paul Lynch and I move to our new role in facilitating EU and International bidding at BU, we hope to inspire you with our enthusiasm for the over 400 schemes within the EU funding arena. The AHRC are running an International placement scheme providing funded research fellowships at leading international research institutions. The maximum award is unspecified, Closing date is 15 Jan 14. The AHRC are offering Collaborative research grants in partnership with the São Paulo Research Foundation enabling transnational British and Brazilian teams to apply for funding for collaborative research projects. This is an open call with no set deadline. The proposal total should not exceed £2 million. The BBSRC are offering Modular training partnerships designed to help develop master’s-level training in areas of significant need for industrial sectors. The award maximum is unspecified with a closing date of 28 Jan 14. The BBSRC invite proposals for their Welfare of managed animals strategic priority area. The maximum award is not specified, closing date: 09 Jan 14. The BBSRC are offering funding for the Animal health research club. The club’s research focuses on improving the resistance of farmed animals. A maximum of £5.5 million is available to support a variety of projects at 80% full economic cost. Projects usually last 3 -4 years but funding of up to £2m for a maximum of 5 years will be considered. Closing date: 11 Dec 13. The EPSRC ICT pioneers competition is now open, providing recognition for UK PhD students who can communicate and demonstrate the excellence and exploitation potential of their research. There are four prizes of £2000 each are available. Closing date is 04 Dec 13. The fourth call from CHIST-ERA is now open from ERA-Net CHIST-ERA. Proposals for this call should be transformative and highly multidisciplinary research projects in ICST. The indicative budget is approximately €11.6 million, closing date 21 Jan 14. EUREKA’s Eurostars programme is supporting SME’s using research to gain competitive advantage. Funding is provided on a country by country bases with an average project budget of €1.4 million. The maximum award is unspecified with a closing date of 13 Mar 14. The MRC are offering UK-Japan collaborative proposals, specifically looking at neuroscience disease challenges and the use of next generation opitical microscopy technologies. The maximum MRC contribution will not be more that £120,000 over three years. Closing date 05 Dec 13. The MRC are offering a Senior non-clinical fellowship providing non-clinical researchers opportunities to become research leaders. The maximum award is not specified and the closing date is 30 Apr 14. The MRC are awarding funds in Stratified medicine to support investigator-led methodological research into the challenges raised by stratifying patient groups. Over the next 4 years, £60 million will be committed to this area of research. Maximum award is not specified, closing date: 23 Jan 14. NERC are offering Biodiversity and ecosystem service sustainability knowledge exchange grants, aiming to stimulate collaboration between business and research organisations. Proposals should be for up to 18 months and cost between £30,000 to £100,000 at 80% full economic cost. Award amount maximum: £100,000. Closing date: 14 Jan 14. NERC are looking for projects on Volatiles, geodynamics and solid earth controls on the habitable planet. Award maximum not specified, closing date: 15 Jan 14. The Royal Society of Edinburgh are offering Scottish Enterprise/RSE enterprise fellowships to encourage the development of a new Scottish businesses based around a technological idea. Fellowships cover the fellow’s salary for one year. There is no maximum award and it will close 28 Nov 13. The Royal Society are offering funds to run small three-day South Africa-UK scientific seminars to bring together groups of early- to mid-career scientists from South Africa and the UK. Grants are worth up to £12,000 to be used to cover costs of international airfares for up to 5 scientists, local travel costs, accommodation and organisational support. Award maximum is £12,000, closing 18 Feb 14. The TSB are offering Infrastructure for offshore renewables. Funds will be given to collaborative, business led projects looking to reduce costs associated with offshore wind, wave and tidal stream energy generation through technology. Registration closes 29 Jan 14 with a final submission date 05 Feb 2014 . Improving cell and tissue analysis for stratified medicine. The TSB seek development of innovative technologies to enhance cell and tissue sample analysis. Projects should be between £200,000 and £1.5 million and last up to three years. Award maximum not specified, closing date: 04 Dec 13. The Wellcome Trust are offering Doctoral studentships in medical humanities. The award will cover stipend, conference travel, research expenses, overseas fieldwork, and university and college fees for up to 3 years. Maximum award unspecified, closing date: 02 Apr 14. The Wellcome Trust People Awards support projects to explore the impact of biomedical science on society, its historical roots, effects on different cultures, or the ethical questions that it raises. Up to £30,000 is available per project. Closing date: 31 Jan 14. Wellcome Trust are offering Capital funding for learned societies. This scheme provides funding, usually for up to £200,000, to projects that support the scholarly activities of learned societies. There is no specified deadline or maximum award. Society and ethics doctoral studentships are available from the Wellcome Trust to enable scholars to undertake full-time research on a topic related to the ethics and society programme. Maximum award is not specified, closing date: 02 Apr 14. Research training fellowships are available from the Wellcome Trust to support medical, dental, veterinary or clinical psychology graduates who have limited research training, but who wish to develop a career in academic medicine. Award amount maximum not specified. Closing date is 07 Feb 14. Society and ethics small grants are available from the Wellcome Trust to support small-scale research projects, scoping exercises or meetings whose subject matter falls within the remit of the ethics and society programme. The maximum grant is £5,000. There is no closing deadline. Six research councils are inviting applications to fill governing council vacancies expected to arise in 2013. Suitably qualified academics and experienced individuals from industry, commerce, government, and the voluntary, creative and cultural sectors, can apply. The vacancies are at the Arts and Humanities Research Council, the Biotechnology and Biological Sciences Research Council, the Economic and Social Research Council, the Engineering and Physical Sciences Research Council, the Natural Environment Research Council, and the Science and Technology Facilities Council. The vacancies include some positions with audit committee responsibilities for part-time membership. Annual honoraria of £6,850 will be paid. The closing date for applications is 19 November. They anticipate two 5-year fellowships will be awarded, in addition to the standard BBSRC David Phillips fellowships awarded annually, and subject to the usual excellent quality expected. BBSRC and FSA have allocated up to £2M to fund these additional fellowships. Application to these fellowships is through the David Phillips fellowship scheme (see related links). Applicants should submit a covering letter indicating that they wish to be considered for the BBSRC-FSA fellowships scheme. Please note that only one application to both schemes is required. Applications submitted which are considered out of remit will automatically be considered for a standard David Phillips fellowship, so long as they fall within the broader BBSRC remit. Applications to both schemes will be assessed in the same way through BBSRC’s Research Committee E (supplemented by appropriate expertise as required). Application assessment will run concurrently with that of David Phillips fellowships. As part of successful fellowships, each Fellow will be allocated a mentor from the FSA (in addition to the mentor assigned from BBSRC) to foster collaboration and interaction between the Fellow and the FSA. Potential applicants are encouraged to contact BBSRC/FSA to discuss their proposals’ fit to remit, see contacts below. The RKE Operations team can help you with your application. BBSRC’s FLexible Interchange Programme (FLIP) supports the movement of people from one environment to a different one to exchange knowledge/technology/skills, developing bioscience research/researchers and addressing our strategic priorities. FLIP awards provide flexible opportunities for individuals (“the interchangers”) moving between different organisations, disciplines and sectors at all stages in their career beyond the PhD (or equivalent). In the region of 10 awards will be made in the first year, building to 20 per annum over subsequent years. Applications outside these ranges will be considered with full justification. Each FLIP proposal will only have one lead academic applicant. View the call text for full information. Complete the application form and mandatory attachments and submit via email as one single PDF document to FLIP@bbsrc.ac.uk. Some applicants may be invited to attend a discretionary interview subsequent to the assessment of applications. 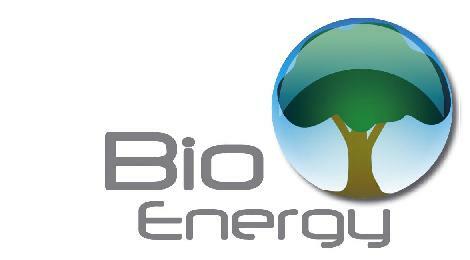 Applications will be assessed at BBSRC’s Research Committee E meeting on 13-14 December 2012. Interviews (if required) will be held from early January 2013. Funding decisions will be announced by late January 2013 (dates are for guidance only and may be subject to change). As the TSB releases more information on KTP scheme, I will be posting this on the blog, so watch out for more news. Please contact me if you have any queries about current or future KTPs, in the first instance. Further information is also available on the KTP website. For those interested in developing KTPs and networking with others with the same interests, the TSB recommends that you join the Knowledge Transfer Network. A collaboration between the BBSRC, EPSRC and industry has announced new funding for research into ways of extracting valuable chemicals from the co-products of grain brewing. The refining of both alcohol and biofuels produces low-value derivatives that are often sold as animal feed. This new funding call will challenge researchers to find ways of processing these by-products to yield chemicals sustainably that would otherwise have to be produced from fossil fuels. Read more on the BBSRC webpage. A workshop organised by the BBSRC brought together top scientists from around the world to plan the future direction of standards and methodologies in the area of soil carbon monitoring and reporting. This will make a significant contribution to our knowledge of the role of soil in addressing climate change. Outputs of the workshop will be a series of scientific papers outlining the challenges and opportunities of soil carbon monitoring in the context of biomass production. This will help to inform sustainable management of changing land use, as well as any shift towards biomass crops within agriculture; contribute to the future direction of research in this area; and help to inform policy for sustainability. It is likely that opportunities will emerge from this work to improve the overall sustainability of bioenergy and an improved appreciation of the flux of carbon into and out of the soil will complement our increasing knowledge of the roles of genetics, physiology and agronomic traits of bioenergy crops.